preferentially over healthy cells and destry them! It also has a fluorescent part that allows effective cancer diagnosis, including stray cancer cells. In 2014 three compounds with a single “magic claw” were in Phase III clinical trials in Europe, but all were based on small molecules, not polymers. The trials were terminated because the agents did not perform as expected. Earlier research has already demonstrated that polymer-based molecules with multiple “magic claws” are the most effective. Cancer drug doses can be targeted thereby reducing/eliminating side effects such as nausea and hair loss and chemotoxic damage to other organs in the body. However, consistent polymer production attempts failed. Professor Puskas’ group took up the challenge and were able to solve the problems. To complete the animal studies for breast cancer, $100,000 must be raised. The next step will be to attach cancer drugs to the molecule and demonstrate that the “magic claws” will carry the drugs into the cancer cells and destroy them. We hope that you will come to the “Cupcake for a Cause” event on October 5. Thank you for helping in our efforts to combat breast cancer. Your tax-deductible donation will support the research causes directly, and will have a great impact on the lives of women diagnosed with breast cancer. Thank you for your time and interest in a very worthwhile program. 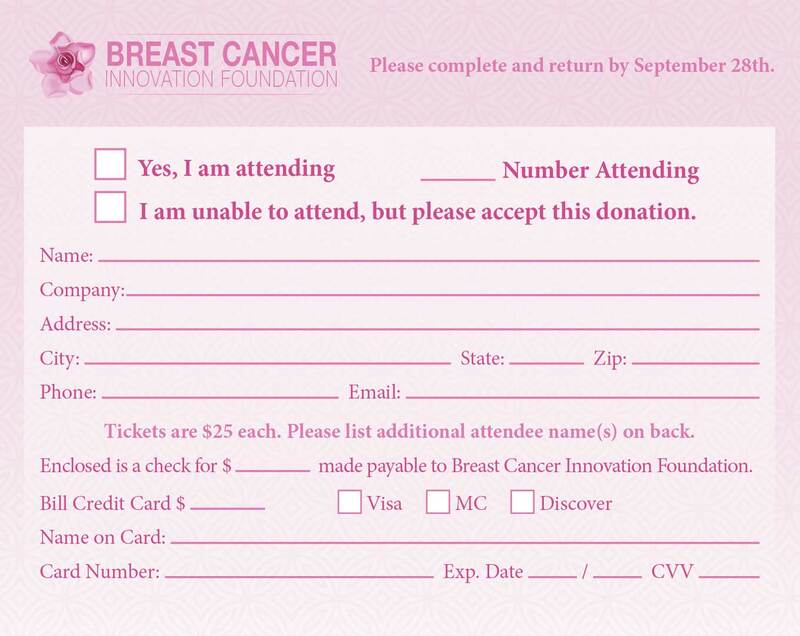 RSVP by Wednesday, September 28th by returning the card from below, or email breastcancerinnovation@gmail.com. You can RSVP online too on our website! Click here to reserve your seat! Are you unable to attend ? You can help now! Make a donation with PayPal. Download the invitation and RSVP card.